SQL Server Data Tools is a name for that part of Visual Studio devoted to working with SQL Server Analysis, Reporting and Integration Services. Once in Visual Studio, you should make sure that you can see the Solution Explorer and Properties windows in a convenient way, and also change start-up options so that Visual Studio works in the way you want it to. All of this is shown below! You won't get far without Solution Explorer visible! 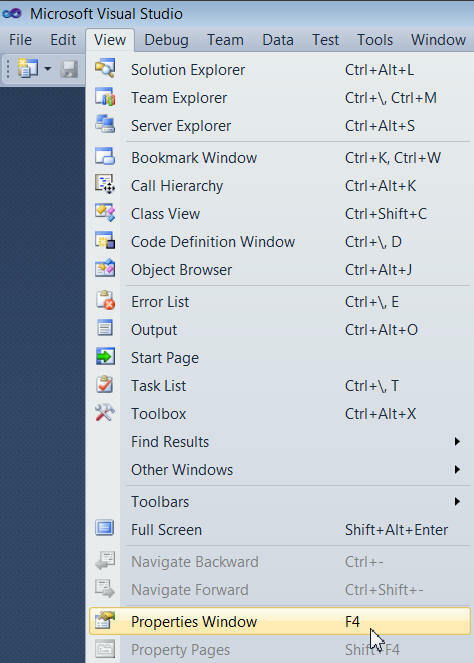 To display Solution Explorer, choose this option or (as the screen-shot shows) press CTRL + ALT + L.
Choose this option from the Visual Studio menu to display the properties window. If the pin is vertical, the window will remain permanently visible, and you can drag it to a different position on your screen. If the pin is horizontal, the window will be collapsed to the edge of the screen, but you can make it appear by moving your mouse over it. 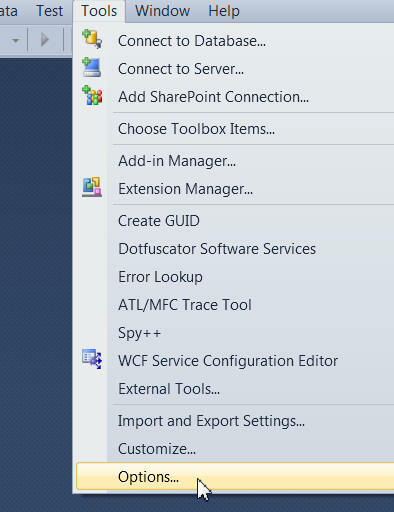 From the Visual Studio menu, choose Tools -> Options. 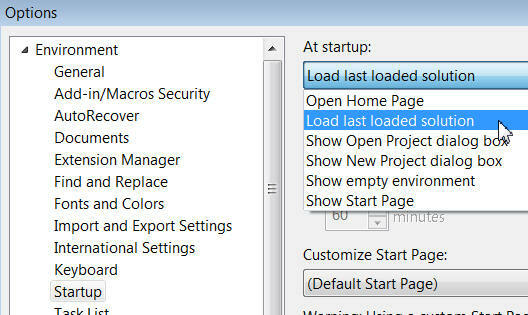 Choose the Startup tab on the left, and choose what you want to happen when you load Visual Studio. The most convenient thing is usually for Visual Studio to open the project that you were last working with, as shown in the screen shot above. Now that we've tamed Visual Studio, it's time to create your first tabular project!